A common in-store discussion with our customers is about the term ‘mattress feel’; what is the best feel and how can you know for sure which is right for you. The feel of a mattress is highly subjective because it depends entirely on your personal experience. One constant we can share for sure is that firmness and support are not the same thing in a bed! When we talk about support with our customers, we are referring to the feeling you have in a bed when your entire body feels comfortable, aligned and in harmony. You can have a soft bed and still be completely supported, allowing your body to relax and drift off to sleep. The best way to explain mattress feels is to think about the experience you have when you first lay on a mattress. Some mattresses feel as if they are ‘hugging’ your body, every part of your body that is touching the bed feels like you are snuggling into a big fluffy soothing cloud. The top panel will have a high lofty cushiony look and the surface is flexible under your body as it contours and moulds to your shape. We would consider this to be a plush, soft, ultra plush or extra soft mattress feel. The feels listed on each of our products online and in store have been rated by a team of dedicated sleep nutters who love beds, love sleep, live, breathe and dream sleep health. This is not an infallible process because, once again, feels are subjective! The subjectivity comes from your own personal needs, preferences, experience, body shape, age, health and aches. The best news is, if you have chosen a mattress, taken it home, slept on it and find you may need a different feel, we can help you reselect with our Comfort Exchange Guarantee! Click here for more information on our CEG. The cloud-like comfort experienced when sleeping on a Plush Mattress comes from the luxurious materials used, and its greater ability to conform to the shape of your body. Mattresses in this feel are a particularly good choice for those who sleep on their side, as the conformable materials will cradle the hips and shoulders, dispersing body weight and minimising spinal stress. Plush Mattresses provide a highly supportive sleep. In fact, those with back problems such as arthritis, rheumatism and scoliosis are better off sleeping on a mattress that feels soft in the top layers, while still providing that same support in the mattress below to cosset the body. It’s important to note there is a transition period if you are switching to a soft mattress from a medium or firm mattress. During the first two weeks you may experience minor aches and pains — this is the body’s normal adjustment response to a new sleeping surface.  If, however you are still unhappy with your mattress within 60 days, our 60 Night Comfort Exchange Guarantee means we will happily exchange your selection. If you don't have a warm fuzzy feeling about going to bed every night then you need to consider developing an evening "sleep ritual"